Communication with submerged vessels is tricky. 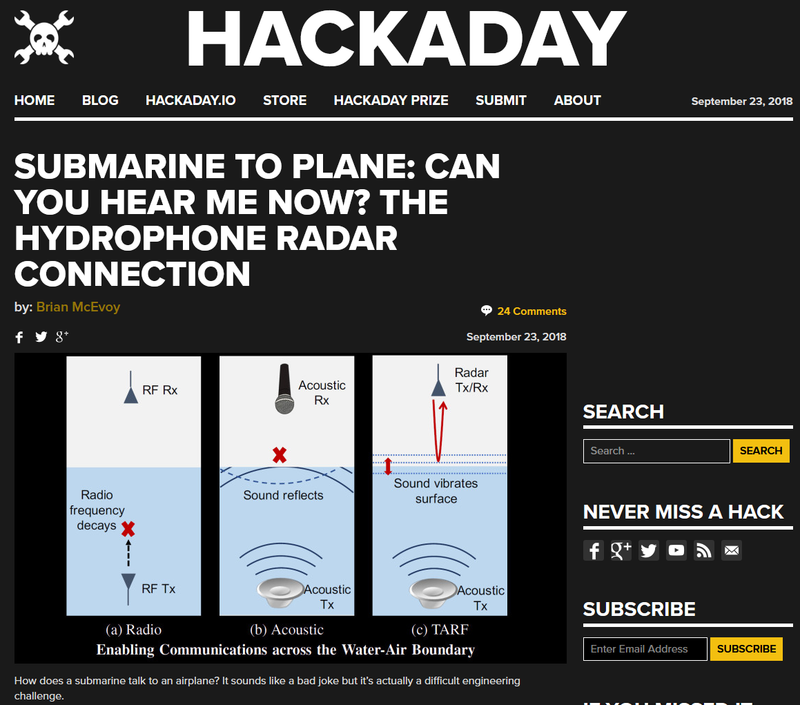 I have been toying with the idea of building a small submarine for a long time, but long ago I abandoned the idea of giving it a camera with a live feed. Transmitting that kind of data through the water is unthinkable. Of course, there are ways, but hobbyist radio module will not cut it. This article was beyond hobbyists. 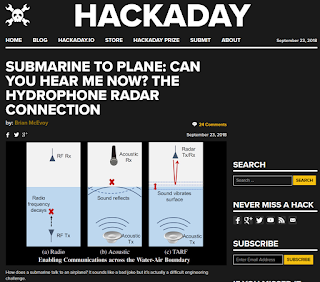 It talked about using a submarine with a speaker pointed at the surface which would vibrate the water's surface, and precision radar would detect those disruptions.